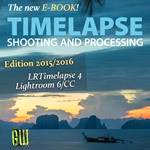 I downloaded the free trial version of LRTimelapse 5 a few hours ago. I've viewed the tutorials. I'm following the instructions carefully but I've only gotten as far as importing my files from my MacBook. I've identified the source and destination folders and clicked on the appropriate boxes for a new subfolder, etc., but I see no way to "import" the 158 files selected (nothing to click!). This is at 2:53 of Gunther's tutorial on importing files, where I can't see where he's clicking to import the files and, as I search in LRT and click, I get nothing. I'm using the High Sierra operating system on my Macbook. 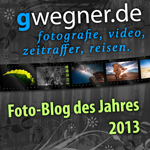 I have a Samsung NX 300 and I know Lightroom does not like the .SRW files that come out of it. I converted them to .DNG files and tried to import into LRT both the DNG and the SRW files, to no avail. I apologize for such a bone-headed question from a newbie. I didn't find anything on this in the forum. I plan to buy the license but I have to learn how to use this first. Can you help? Thank you! If the files are already on your computer/hard drive, there is no need to import them at all. 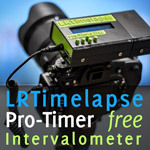 Just select the folder on the left side of the LRTimelapse main window then. The importer serves only to bring fresh files from the Memory card of your camera to your computer. Normally on the bottom right of the import dialog there is a “import“ button. In some Macs with small retina display, the dialog might be too large, try making it smaller or dragging or higher in order to see the button. Will see to fix this with the next update.